The victims were Benjamin Monsivais, a former US Border Patrol and retired Immigration and Customs Enforcement agent; Joseph Perez, a retired US Customs and Border Protection port director; and retired British customs officer David Chamberlain, DHS said in a statement. Dave Chamberlain was killed in western Afghanistan alongside two American colleagues by a gunman who turned his weapon against the US military coalition, sources have said. Mr Chamberlain, who was in his 40s and from Westgate-on-Sea, was working for the Border Management Task Force, which trains and mentors former Afghan customs officers and border policemen, when he and his colleagues were killed on Sunday, a source said. He said another American national had been taken to hospital with severe injuries and that an Afghan interpreter had also been injured during the shooting. A British civilian contractor was one of three people shot dead on Sunday by a person wearing an Afghan national security force uniform. KABUL — Three foreign civilian contractors working for NATO as trainers were killed Sunday when a man in an Afghan security force uniform turned his weapon against them, NATO and Afghan officials said. The shooter was killed in the incident in the west of the country, the International Security Assistance Force said in a statement, without giving further details or naming the nationalities of the victims. An Afghan official who requested anonymity said he knew two Americans had been killed in the attack and they had been shot by an Afghan man in a police uniform in a military training centre near the Herat airport. A gunman wearing an Afghan uniform turned his weapon against foreign trainers working for NATO in the western province of Herat on Sunday, killing three, in a grim 24 hours for the coalition which also saw five NATO soldiers killed. The latest rogue shooting by an Afghan in a police or army uniform happened at a regional training center in the relatively peaceful western province near Afghanistan’s border with Iran, which is normally patrolled by Italian forces. “An individual wearing an Afghan National Security Force uniform turned his weapon against ISAF contracted civilian employees in western Afghanistan today, killing three,” a spokesman for the NATO-led coalition said, adding that an unknown number of other people had been wounded. Last week the military was reluctant to announce the name of the SpecOps soldier who was killed by an Afghan SpecOps soldier. The family reported this and the military then had to. WASHINGTON (AP) — The military is under-reporting the number of times that Afghan soldiers and police open fire on American and other foreign troops. Such attacks reveal a level of mistrust and ill will between the U.S.-led coalition and its Afghan counterparts in an increasingly unpopular war. The U.S. and its military partners are working more closely with Afghan troops in preparation for handing off security responsibility to them by the end of 2014. In recent weeks an Afghan soldier opened fire on a group of American soldiers but missed the group entirely. The Americans quickly shot him to death. Not a word about this was reported by the International Security Assistance Force, or ISAF, as the coalition is formally known. It was disclosed to the AP by a U.S. official who was granted anonymity in order to give a fuller picture of the “insider” problem. ISAF also said nothing about last week’s attack in which two Afghan policemen in Kandahar province fired on U.S. soldiers, wounding two. Reporters learned of it from Afghan officials and from U.S. officials in Washington. The two Afghan policemen were shot to death by the Americans present. Thousands of skilled workers from Africa are willingly facing danger in remote areas of Afghanistan for high-paying jobs supporting coalition troops. Beyond the primal beauty of the Southern Afghanistan desert lies the unknown for newcomers, military and civilians alike. Sand and rocks spread further across that vast sea of sparsely inhabited nothingness than the eye can see. For the troops stationed in the Helmand province, the unknown coupled with the deserted surroundings speak danger. This infamous province – a Taliban stronghold and site of frequent fighting between insurgents and NATO troops during the now 10-year-old Afghan War – has been welcoming a new breed of visitors: former soldiers turned personnel security providers, carpenters, electricians, plumbers, engineers, cashiers, information technology experts, mine specialists, or finance and administration officers. Many are Africans, who constitute the bulk of migrant workers in the area, along with civilian personnel from Eastern Europe (Ukraine, Croatia, Bosnia), and Asia (India, Philippines). The increased military presence of the US, EU and other countries involved in the UN-mandated International Security Assistance Force after 2009 resulted in a major shift in roles. As the overextended military focused on taming a local insurgency, tasks that were once the exclusive domain of trained military personnel started to be offered to civilian skilled workers. Civilians contractors came to provide the workforces necessary to maintain and run dining facilities, Morale Welfare and Recreation centres, military berthing, and equipment repair and replenishment shops. Ethiopian Henok Tessema, 33, now lodging in the civilian section of a Helmand Province military installation, made his way to Afghanistan following a routine online job search. Tessema had been juggling four part-time positions working as a financial administrator and accountant in Harar, and saw the vacancy at the Central Asia Development Group as an opportunity to consolidate four part-time positions into a single one. KABUL, Afghanistan—An Afghan soldier opened fire on Western forces in southern Afghanistan on Monday, killing two British troops at the gate of their base in the capital of Helmand province, Afghan and coalition officials said. Hours later, a man believed to be a member of the Afghan Local Police opened fire on coalition forces as they approached a checkpoint in eastern Afghanistan, killing one, according to coalition officials. A gunman in an Afghan army uniform has killed two NATO soldiers at a base in southern Afghanistan, NATO’s International Security Assistance Force (ISAF) has said. housing military and civilian reconstruction teams, the provincial governor’s office said in a statement. Afghan and Western security sources identified the two NATO soldiers as British troops. An Afghan soldier was also shot dead and one Briton was wounded in the attack according to a Western security source speaking on condition of anonymity to the AFP news agency. 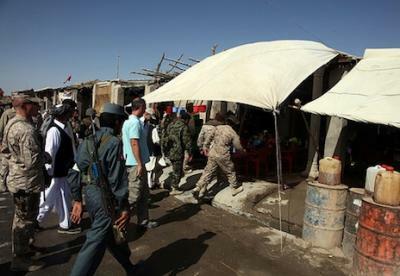 Nineteen Afghan civilians and law enforcement officers and four NATO soldiers were wounded in the blast, a spokesman for the NATO-led International Security Assistance Force (ISAF) in Nangarhar province, of which Jalalabad is the capital, said. KABUL — A suicide car bomber killed nine people in an attack on a military airport in eastern Afghanistan on Monday, officials said, the latest bloodshed since copies of the Koran were burned at a NATO base last week. Jalalabad airport is almost exclusively used by NATO and the U.S. military. KABUL, Afghanistan — Two foreign soldiers were killed by a man dressed in an Afghan National Army uniform on Thursday, as anger over the burning of copies of the Quran at the country’s main NATO air base sparked violent protests for a third day. A statement by the NATO-led International Security Assistance Force did not give the exact location of the deadly attack on its troops, but said it took place in the east of the country. 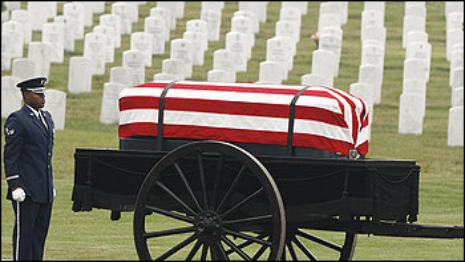 However, CBS News reported on its Twitter feed that both service members were Americans, citing unidentified sources. 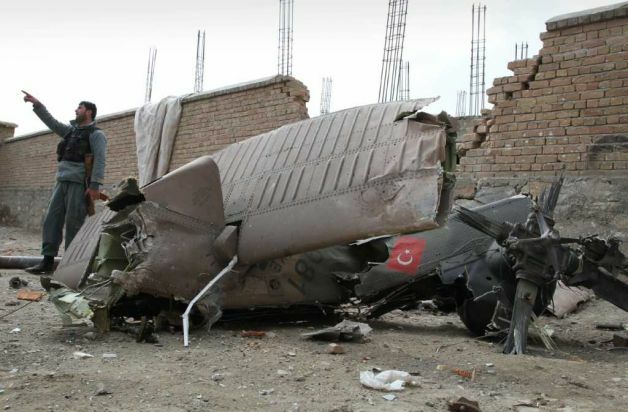 Kabul—An International Security Assistance Force (ISAF)helicopter crashed in the Sarobi district of central Kabul province on Saturday, an official said. Official sources said that the incident took place around noon in the Uzbin Mountains near the Baad Pakh district of neighbouring Laghman province. Further details would be revealed after an investigation into the crash was completed, officials said, adding a team had been sent to the scene. There was no immediate report of casualties in the crash that happened at around 10:30am, said a resident of the area, Sahar. Kabul, Afghanistan (CNN) — A local official reported a NATO helicopter crashed Saturday in eastern Afghanistan, though there was no immediate confirmation from coalition forces. A spokesman for NATO’s International Security Assistance Force, Capt. Justin Brockhoff, said ISAF officials are looking into the reported incident but have no indications that any ISAF aircraft have been lost. Afghan army and police forces or civilian contractors have attacked U.S.-led coalition forces at least 46 times since May 2007, including an attack today in which an Afghan soldier shot and killed a U.S. Marine in the southern province of Helmand. The Afghan army soldier opened fire at close range as he and the Marine guarded a joint operating base at about 12:30 a.m. today, General Sayed Malook, a corps commander based in Helmand, said by phone. The U.S.-led International Security Assistance Force, or ISAF, confirmed that one of its soldiers was shot dead by an individual wearing an Afghan uniform. 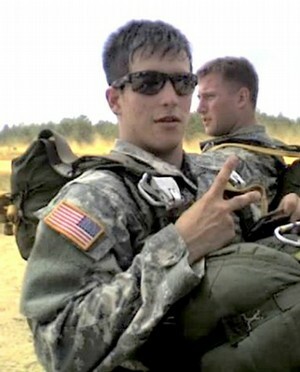 Malook said the Afghan soldier had been taken into custody and told investigators that the killing wasn’t deliberate. While the Taliban have claimed in the past to have infiltrated Afghan forces to carry out attacks on international troops or government officials, U.S. Defense Department data indicate that the majority, or 58 percent, of the attacks were motivated by personal matters and weren’t the result of insurgent activity. In testimony prepared for a hearing today before the House Armed Services Committee, the department said 42 insider attacks from May 2007 through last year involved personnel of the Afghan National Security Forces, and three were carried out by Afghan contract employees of private security companies. France will temporarily suspend all training and combat operations in Afghanistan following a fatal attack on its troops, President Nicolas Sarkozy announced after four French soldiers died Friday in an attack by an Afghan army soldier. French President Nicolas Sarkozy confirmed the death, which brings to 82 the number of French troops killed in the Afghan campaign. KABUL, Afghanistan — An Afghan guard opened fire at a NATO-escorted reconstruction convoy after an argument Saturday, killing a service member and a civilian working for the coalition before being killed by return fire, a provincial police chief said. The convoy was traveling in the northern Panjshir province, about 62 miles (99 kilometers) north of the capital, Kabul, when it came under attack, according to provincial police chief Gen. Mohammad Qasim Jangalbagh. The Afghan guard, who goes by the name Amanullah, was standing outside his home when the convoy passed by, the police chief said. The guard stopped the convoy, started arguing with the NATO troops and then opened fire, killing the service member and the civilian, Jangalbagh said. A third coalition service member was wounded in the shooting, the police chief added, and another NATO service member fired back, killing Amanullah. An Afghan and two Americans were killed during an exchange of fire in northeastern Afghanistan on Saturday, the National Directorate of Security, Afghanistan’s intelligence agency said. NATO’s International Security Assistance Force press office called the Panjshir incident an attack and confirmed that an ISAF service member and an ISAF civilian were killed. Authorities are investigating an argument that broke out when a NATO vehicle was stopped by the intelligence agency in Darah district, said Gen. Qassim Genghal Bogh, police chief of Panjshir province. He said the intelligence agency staff opened fire.